A collection of items donated by Marvin and Marvette Panch documenting the racing career of Marvin Panch. Materials in the Marvin Panch Collection are housed in the Closed Collection of Special Collections. If you wish to view items in the Panch Collection, it is best to make an appointment by emailing or calling ahead (spcoll@appstate.edu, 828-262-7974). For hours and other information about using items in the Closed Collection, go to the Special Collections Research Services page. The Library offers a wide array of resources and services to distance education faculty and students. See the App State Online library guide for details. Listed below are the folders containing materials documenting Marvin Panch's life and career. Ask for them by collection name (Marvin Panch) and box number. 1953. Box 1. Folder 1. 1954. Box 1. Folder 2. 1955. Box 1. Folder 3. 1956. Box 1. Folder 4. 1957. Box 1. Folder 5. 1958. Box 1. Folder 6. 1960. Box 1. Folder 7. 1961. Box 1. Folder 8. 1962. Box 1. Folder 9. 1963. Box 1. Folder 10. 1964. Box 1. Folder 11. 1965. Box 1. Folder 12. 1966. Box 1. Folder 13. 1967. Box 1. Folder 14. 1971. Box 1. Folder 15. 1972. Box 1. Folder 16. 1974. Box 1. Folder 17. 1978. Box 1. Folder 18. 1983. Box 2. Folder 1. 1985. Box 2. Folder 2. 1986. Box 2. Folder 3. 1987. Box 2. Folder 4. 1988. Box 2. Folder 5. 1989. Box 2. Folder 6. 1990. Box 2. Folder 7. 1991. Box 2. Folder 8. 1994. Box 2. Folder 9. 1996. Box 2. Folder 10. 1997. Box 2. Folder 11. 1998. Box 2. Folder 12. 1999. Box 2. Folder 13. 2001. Box 2. Folder 14. 2002. Box 2. Folder 15. 2003. Box 2. Folder 16. 2004. Box 2. Folder 17. 2005. Box 2. Folder 18. 2006. Box 2. Folder 19. No Date. Box 2. Folder 20. Early, Wanda Lund. Wanda's Rac..ipes. No date. Inscribed by the author on inside cover to Marvin and Bettie Panch. Hinton, Ed. Daytona: From the Birth of Speed to the Death of the Man in Black. 2001. Kilgo, John, and Barbara McKay. Racing Lifestyles. No date. Inscribed by Barbara McKay on inside cover to Bettie Panch. NASCAR Winston Cup Series. 25th Anniversary. 1995. Hardcover copy with "Marvin & Bettie Panch" printed on the cover. Tyler, Lois. 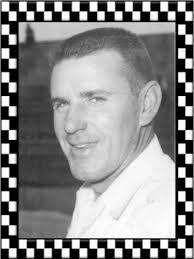 J. Carl Tyler Story: Stock Car Racing Pioneer. 1999. Inscribed by the author to Marvette Panch. WCRWA Cookbook. 25th Anniversary 1964-1989. Introduction by Bettie Panch, founder and former president of the Winston Cup Racing Wives Auxiliary.